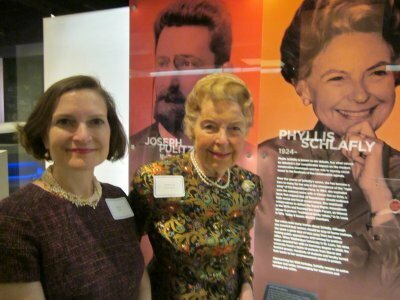 “First of all, I want to thank my husband Fred, for letting me come — I always like to say that, because it makes the libs so mad,” my mother, Phyllis Schlafly, often said with a big smile when speaking on college campuses. Recently, a female Illinois state legislator quoted Phyllis Schlafly on the floor of the Illinois House of Representatives to snarl: “If I had a husband, I would never ask him for permission.” No wonder she is not married. “I don’t think women can have it all,” Mrs. Nooyi said in 2014. “We pretend we have it all.” My mother frequently said that women can “have it all” — just not all at the same time. She lived a sequential and fulfilling life: first education, then family, then career. Today is the 94th anniversary of the birth of Phyllis Schlafly and I celebrate her successful life. My mother would applaud Mrs. Nooyi for the courage not only to make the valuable choice in her life to choose family over career, but also to speak openly of the consequences. 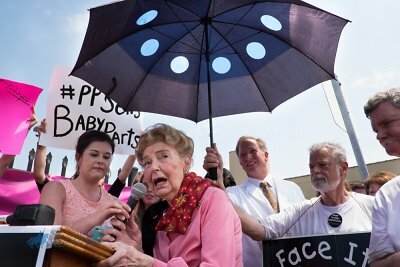 Phyllis Schlafly spent her life honoring the value of homemakers, who not only take care of young children but also aging parents. My mother’s mother and my father — both of whom had severe dementia — lived and were loved and cared for in our family home. Recently several proposals have been made in Congress for government-subsidized family leave. Taxpayers should not foot the bill to pay for any new entitlement program; Americans cannot afford it. Parents should not expect taxpayers to fund their personal and family choices. Cost is a factor in every decision, but a choice for homemaking instead of employment is ultimately a personal decision based on love and duty. The government should not dictate to employers a requirement for family leave — paid or not. Mandating any government benefit is a tax, even if it is financed through early Social Security deductions. Government should not pay the current generation of workers to have more children so that the next generation can pay the benefits the government promised the current generation, even though the current generation is now paying for the previous generation. This Ponzi scheme will fail when ultimately, the government, which has no money of its own, will run out of other people’s money. Phyllis Schlafly had keen insights. On the anniversary of her birthdate, I celebrate my mother’s wisdom: She said that government should not be in the babysitting business. Parents should make their own provisions for their families.